OBEY X NEVER MADE from Never Made on Vimeo. 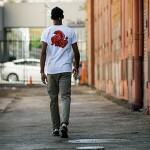 Obey’s latest artist series is with Los Angeles based artist Francisco Reyes, Jr. aka Never Made. Along with working at Studio Number One and OBEY, he has designed for Rebel 8, Hurley, Primitive Skateboards, Epitaph, Hellcat Records, Urban Outfitters, FYF Festival and Day N Night Festival. 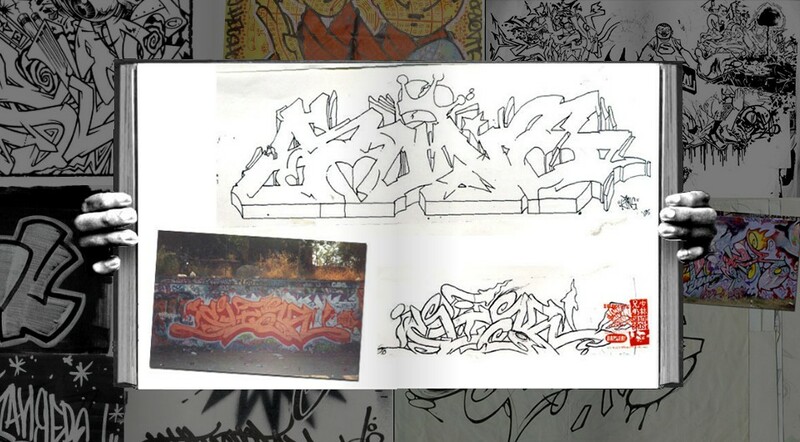 Check out pieces from his new collection with OBEY and more of his work on his site. The exhibition will showcase never-before-seen paintings, large scale sculptures, installations, etchings, retired stencils, a printed newspaper titled The Damaged Times, prints on wood and metal, and a display of various do-it-yourself tools of empowerment. 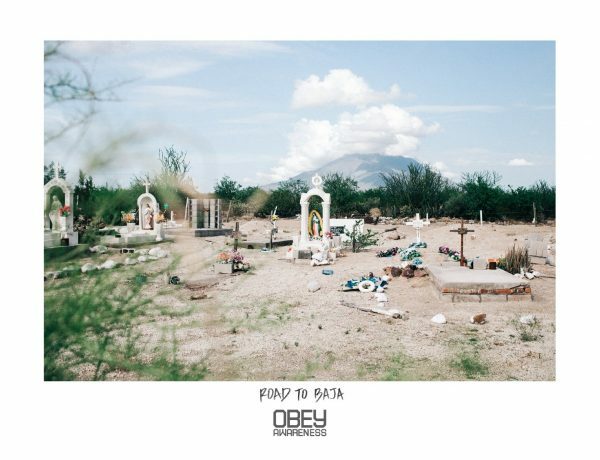 Road to Baja is a non-profit organization that aims to benefit orphanages in Mexico’s Baja California region. The project began when a group of friends embarked on a 14-day excursion from the border of Tijuana to the southern tip of Cabo San Lucas. During the journey, the group was moved by the handmade grave markers that peppered the coast and documented what they saw. 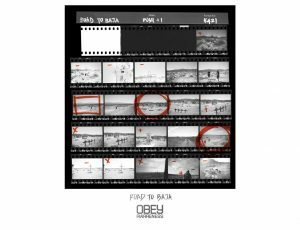 The photographs taken on the trip were compiled into an art book called Road to Baja and into the current OBEY Awareness Collection. OBEY is donating 100% of profits to the organization. 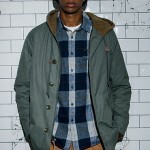 Check out the OBEY Awareness Collection in their Fall Delivery. 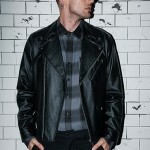 COVERT TO OVERT: PHOTOGRAPHY OF OBEY GIANT BY JON FURLONG from OBEY CLOTHING on Vimeo. 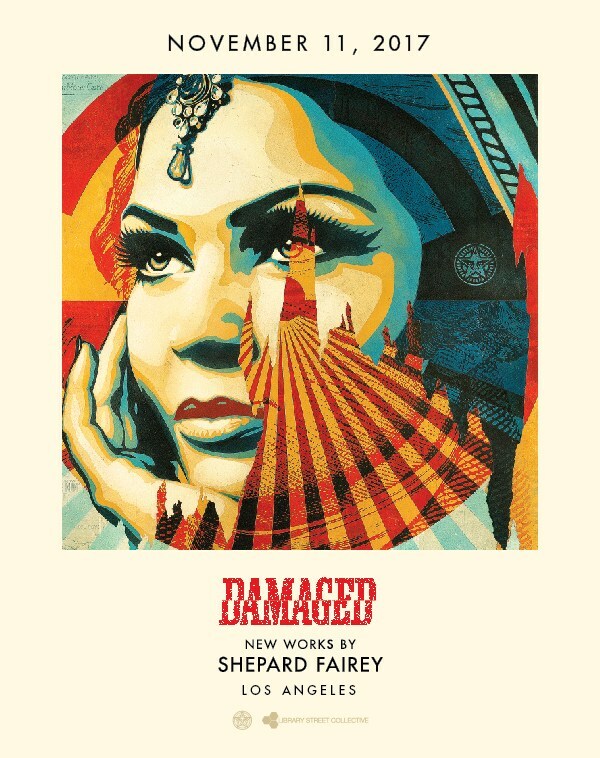 New video recapping some of Jon Furlong’s history and photography of Shepard Fairey and his work. 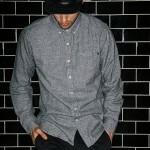 Shepard’s new book, Covert to Overt is out now, as is the new holiday drop from OBEY. 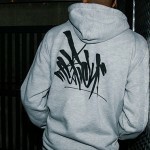 New OBEY Holiday items have started to arrive, including a collaboration with OG Slick (whose line DISSIZIT! is celebrating its 10th anniversary). 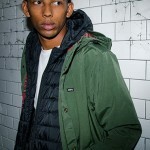 Check out the new collection here. 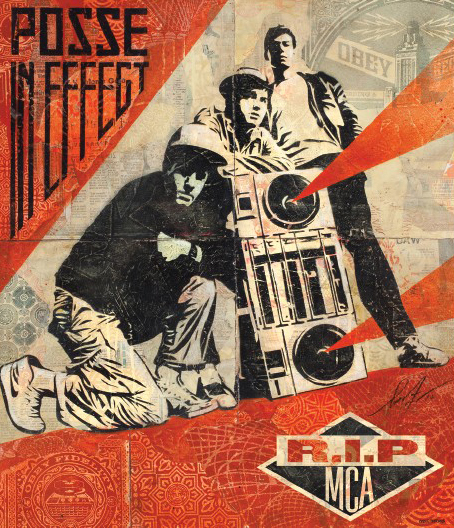 This season’s Obey Awareness campaign benefits the Adam Yauch Foundation. The Adam Yauch Foundation was formed in memorial of Adam “MCA” Yauch of The Beastie Boys. It was established by Adam’s friends and family to support the causes he held dear, and to honor his life by endeavoring to help the lives of others. 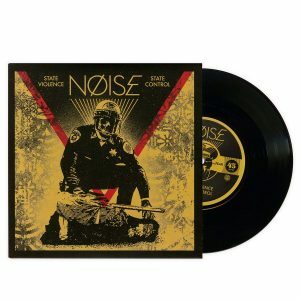 In conjunction with OBEY Awareness, The Adam Yauch Foundation will be raising money for children’s music charities. Music is such a fundamental part in the development of children. Beyond the fundamentals of language development and motor skills, it also nurtures individuality and creativity that goes well beyond the classroom. It gives kids an understanding of themselves and a means of self-expression. The Adam Yauch Foundation is a registered 501(C)(3) charity. Learn more about the foundation here. 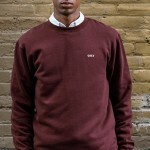 The RIP MCA shirts are part of the OBEY’s Fall 2014 line which is viewable here. 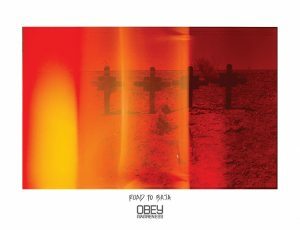 Obey’s fall awareness campaign shines a spotlight on the continuing fight of Native Americans to reclaim land and water that is rightfully theirs. Article VI, Clause 2 of the U.S. Constitution, also known as the Supremacy Clause, declares the treaties made with Native Americans as the “supreme law of the land”—but for over 200 years, the US government has consistently broken them. These legally binding contracts contained promises for recognizing tribes’ rights to live self-governed and undisturbed on their own land, with religious freedom; to hunt, fish, and gather natural resources; and to have such benefits as health care, education, and, in some cases, financial payments for lands previously sold to the government. We have a responsibility to honor the promises that have been made. Indigenous communities are fighting their most important battles in recent history—battles to protect the integrity of their land and water and traditions. In 1980, after the longest running court case in U.S. history, the Supreme Court ruled that the Black Hills (in what is now South Dakota) were illegally taken from the Sioux Nation. The court awarded only 106 million dollars as payment. The Sioux refused the money with the rallying cry, “The Black Hills are Not for Sale!” All across Indian country, this story repeats itself: battles over land, water, hunting and fishing rights, health care, education, and religious freedoms continue TODAY. From Idle No More’s growing movement in Canada to the road blockades attempting to stop the KXL pipeline from crossing tribal lands, the treaty struggles are very much alive. Honor the Treaties is an organization dedicated to amplifying the voices of indigenous communities through art and advocacy. We do that by funding collaborations between Native artists and Native advocacy groups so that their messages can reach a wider audience. Every shirt sold through this campaign helps support a Native artist and their work with a partner organization. All funding is channeled through The Lakota People’s Law Project (501c3). 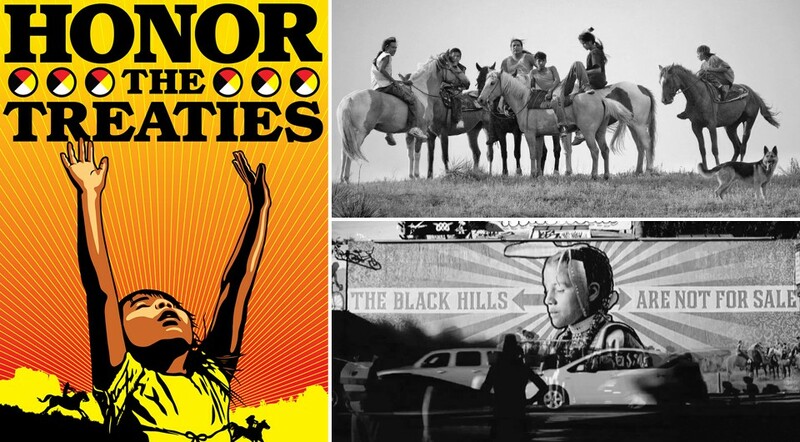 When National Geographic photographer Aaron Huey started this campaign with artists Shepard Fairey and Ernesto Yerena, it was not for the purpose of giving collectors something to put in a frame—it was to spread the message that the treaties have yet to be honored. 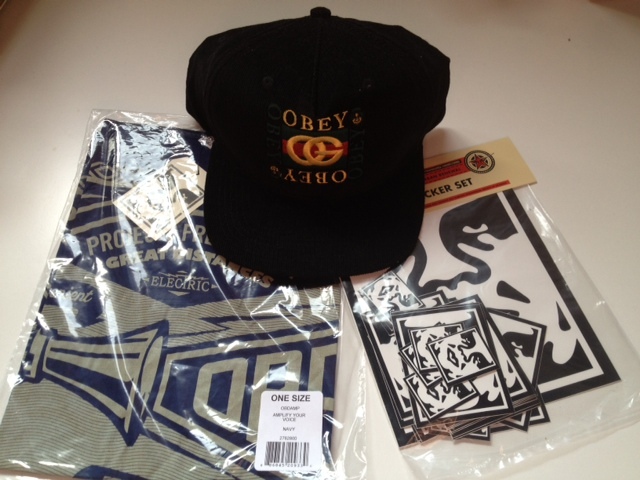 OBEY x COPE2 Collaboration from OBEY CLOTHING on Vimeo. Shepard & COPE2 detail what lead to their collaboration. Pieces from the collection available here. Day 10 of our 12 Days of Gifting…a package with some fun OBEy items: the Knockoff Snapback cap, Icon Face Stickers, and an Amplify Your Voice bandana. If you’re local, please join us tomorrow at our warehouse for a sample sale with OBEY. Just confirmed that they will mainly be bringing tees, tanks, shorts, caps, bags & accessories.